The electric razor might seem like a modern addition to the 21st-century gentleman’s grooming arsenal, but it was first patented back in 1930 by Jacob Schick. An American inventor and entrepreneur, Schick was an the founder of the Schick Dry Shaver, Inc. razor company and is considered by many to be the father of electric razors. Other companies went on to develop the electric razor further, including Remington, Philips (with the creation of the rotary/circular electric razor), and Braun. The latter, led by German inventor Roland Ullmann, would go on to file over 100 patents for innovations in electric shaving. An electric razor traditionally features a rotating or oscillating blade, and usually does not require the use of shaving cream or water – hence it being known as a “dry shaver”. That said, the majority of modern electric razors can be used wet (in the shower, for example) or dry, for convenience. Most are also now powered by rechargeable lithium-ion batteries. The benefits over a manual wet razor include convenience, as there’s no water or shaving product required, and less irritation, as the blade doesn’t come into direct contact with the skin. Early criticism aimed at the electric razor suggested a “tug and pull” effect – meaning hair was yanked from the skin, versus stealthily cut – resulting in an unpleasant epilation-type feeling. Needless to say technology has improved and these days the best electric razors offer a smooth, irritation-free experience. So, without further ado, here are Ape’s best electric razors for men, for varying skin types and applications. Nothing deals with the contours of the skin or gets closer than the Philips Series 9000 range. Armed with V-track PRO Precision blades – which cut 30% closer in fewer strokes – you’ll receive a close, comfortable shave, even on 3-day stubble. As you might imagine, face shape varies wildly from gentleman to gentleman, but Philips’ ContourDetect heads are “adjustable” and follow the outline of your face and neck regardless of your unique bone structure. The Series 9000 also boasts Aquatec technology, meaning the 9000 is 100% waterproof – making it suitable for a wet or dry shave, with gel or foam, or even in the shower. 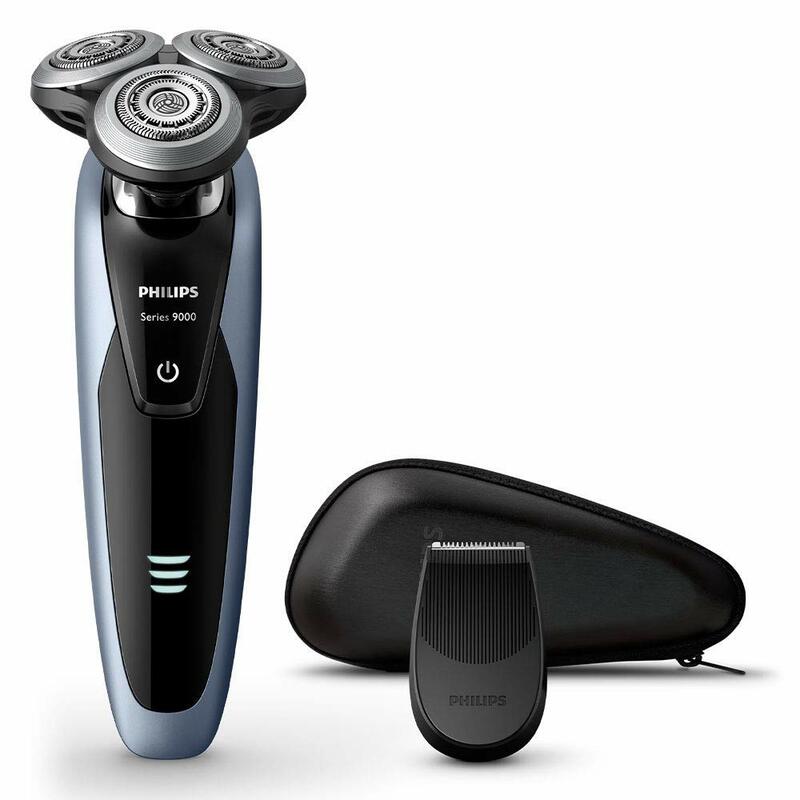 As previously mentioned, Philips invented the rotary shaver; it’s a system best suited to regular to tough skin, thicker or coarse hair, or for those who don’t wish to shave everyday. 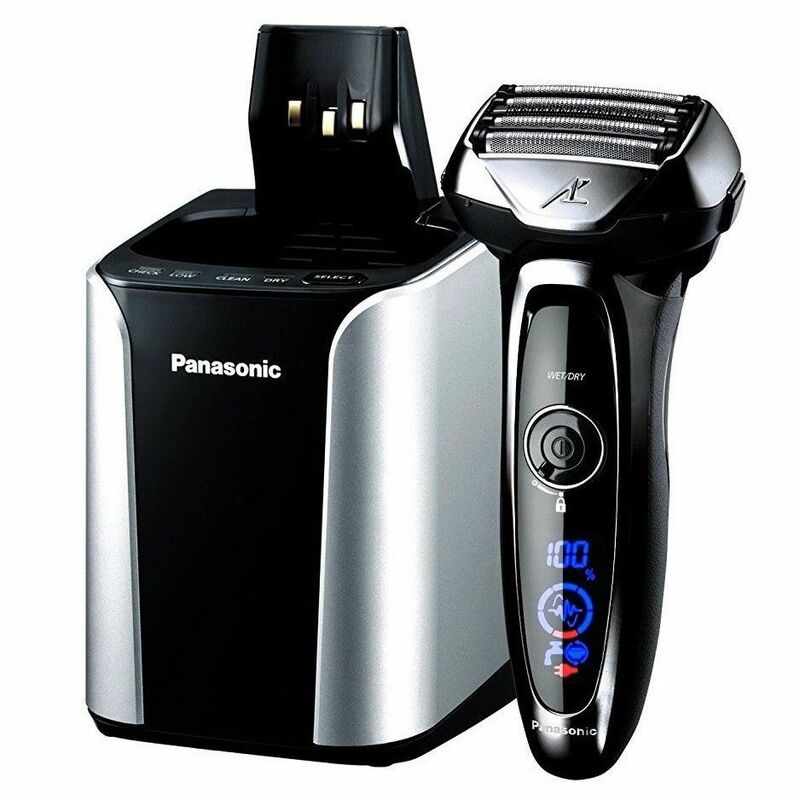 Foil shavers generally don’t cause any skin rash or irritation – and Panasonic’s ES-LV95 exemplifies this school of thought. It’s loaded with features to deliver on its promise, including a quick-lift foil to lift and cut facial hair that’s lying flat; a finishing foil to cut the most stubborn of beard hair; and a comb blade to cut longer strands. There’s more complexity too, not that you’d know, with a sensor working away in the background to determine beard density – delivering more power to heavier growth areas and less to sparse patches, thus reducing the burden on your skin. Finally, 30°-angled blades honed with nano-level precision ensure they are as sharp as possible, and are driven by a high-speed linear motor to guarantee a smooth cutting experience. Again, the ES-LV95 can be used wet or dry and comes complete with a cleaning and charging station. Delivering a super-smooth finish, in comparison to rotary shavers, this is a great option for those who shave every day or have fine facial hair. I’ve tried many-a-beard trimmer and for me, nothing comes close to Philips’ offerings – in particular its 9000 series. Great for maintaining unruly beards or shaping clean edges, it incorporates a futuristic laser-guidance system to ensure symmetrical cutting. However, it’s the double-sharpened, extra-strong stainless steel blades that are the winner, delivering a superior cut every time. A zoom wheel allows for selection and lock of the length you want, from 0.4mm to 7mm with a precision of 0.2mm. It boasts a monster battery life too: 70 minutes cordless run time after an hour’s charge, or you can use it plugged in – ideal for when you’re caught short with a flat battery. It’s also 100% waterproof. 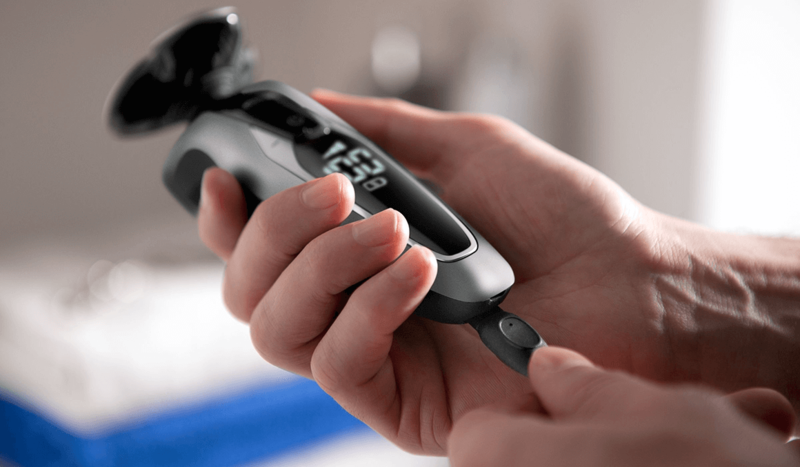 Yes, another choice from Philips; no, this isn’t a sponsored post – they make the best electric razors, hands down. Those of you who’ve ever attempted to undertake any sort of manscaping will be aware that it’s a tricky task, with a lot of sensitive parts you don’t want to nick. But Philips’ Bodygroom Series 1000 makes body hair removal a breeze with its unique skin protection system. This electric razor allows you to comfortably trim hair as close as 0.5mm without direct contact between the sharp edge of the blades and your skin. Seriously, you can’t cut yourself even if you try (please don’t try). The reason? A uniquely designed bi-directional trimmer and 3mm comb. That said, for thicker hair growth, pre-trimming with the comb is recommended – and if you’re more Ape than Gentleman, use the above beard trimmer first to remove really thick or long hair. Consider this Bodygroom as a precision tool for delicate areas. It’s worth noting that the body groomer is 100% waterproof, so you can simply rinse it clean in the shower when you’ve finished, but for best results, use on dry hair before showering. While the majority of beard trimmers double as edging instruments, nothing beats the accuracy of the Philips OneBlade. The revolutionary flat blade system won’t shave as close as a traditional wet razor, intentionally, leaving behind your designer stubble. But what it will do is trim and edge your beard hair like no other. The waterproof handle allows for wet or dry use and it is sold with 3 stubble combs: 1mm for a tight trim, 3mm for short stubble, and 5mm for longer stubble. The single, dual-sided blade also enables shaving in either direction and optimum visibility while cutting. It’s comfortable used on sensitive areas too, if shaping down there is your thing.